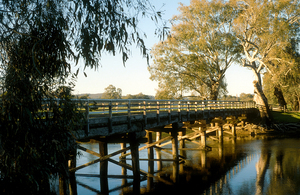 Bridge over the Murray River at Albury, NSW. 1989. Photographer : Willem van Aken on January 01 1989.